This year was my first at Weatherstock! A couple of Gladden friends and I decided to create characters on Landroval for the festival and I had levelled Elimraen to 18 by the time it arrived. Elimraen. To her shame the Dwarf dances are her favourites. I am of the personality type that likes to obsessively relive funtimes. 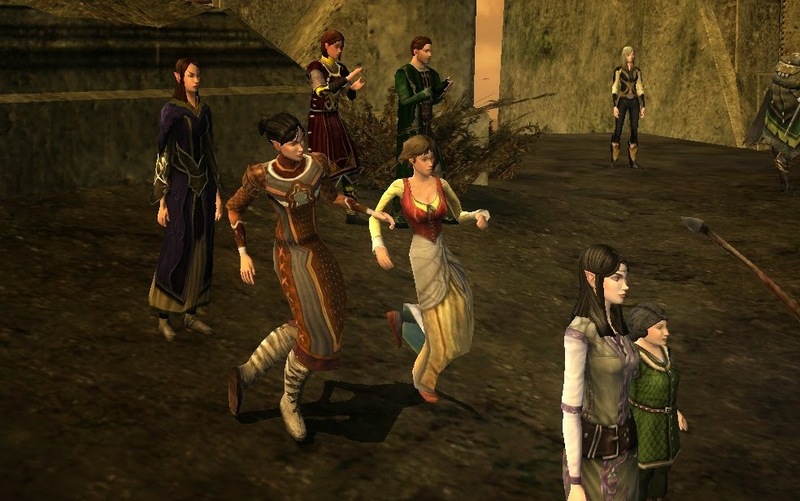 Since Saturday I've lost count of the number of times I've watched the LOTRO Players Twitch recording of Weatherstock, or at least certain parts of it (for instance, oh my gosh how good was the group that played Weatherstock Forever after the competition part had finished??). So, in order that I can indulge my nostalgic sensibilities, my plan for this post is to compile a list of Weatherstock 2014 photos, videos, etc, for ease of reference and finding. And also to give my impressions as a first time attendee! So, backtracking a bit. I believe Elimraen was created when I was a complete noob to LotRO, so back in about September 2012. I knew nothing about servers so I thought that all these names I was seeing on the list were places to begin in the game. 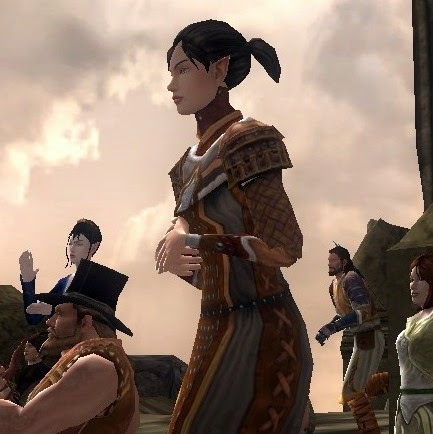 As a result, I probably made my first character on Imladris because ELVES. I don't remember why I kept on switching servers, nor why I finally came to rest on Gladden, but I did, and I think I have around 15 toons on various servers wondering why I created them and then never went back. Now my main, Hunter Elf girl Araewenel, is at 91 and loving Rohan. When a kinnie on Gladden asked if I wanted to go to Weatherstock with her I was immediately keen so went to check out the server to see if I already had a presence there. I found a Champion and a Guardian waiting for me, both levelled to 10. I decided to run with the Guardian because the Champ was called Araewenel and it would have felt weird to have toons with the same name but nearly totally different identities. Elimraen was reactivated right as the Spring Festival was getting going so she spent the first little while getting all the dance emotes ready for the party. Righty-ho, back to Weatherstock then. We made it for the whole thing, happily. 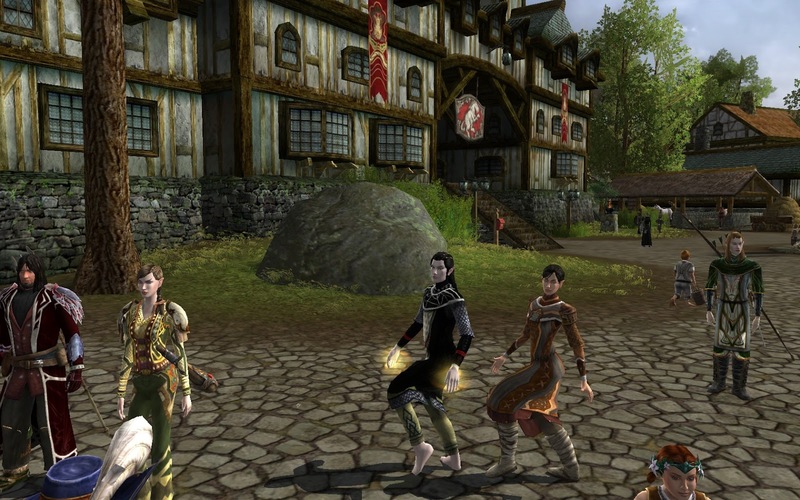 We turned up at the Forsaken Inn for the pre-show show and enjoyed a bit of dancing. After a lot of lag and awkward positioning of Elim's head while following a friend's horse, we made it to the top though not with the main procession. I don't have any knowledge of the music system ingame. But the bands sounded great and I can't imagine how much planning and practice must have gone into all the performances. The atmosphere was great, the schedule was kept to (impressive) and we were provided with as much ale, pie and pipeweed as we wanted. Also a shoutout to Deney who provided me with my barely-acknowledged RL dinner while I danced the day, night, and next day away (actually I don't know how many game days went by). So, huge thanks to the Lonely Mountain Band, all the bands involved, Sapience and LOTRO Players for the streams and everyone who attended who made this an amazing event. I'm totally hooked on Landy.